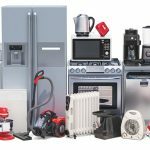 Inclusive design and smart technology for household appliances have the potential to boost the independence of older people and those with sight loss and other disabilities, new research suggests. 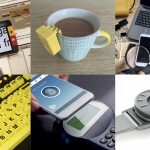 Two new reports, Inclusive Design and Smart Appliances and the Internet of Things, released by consumer research charity Rica and sight loss charity Thomas Pocklington Trust, call attention to the need for inclusive products – those that are useable by the widest range of people. With an eye on future trends, the studies also highlight the potential benefits of emerging smart technology for older and disabled people, including those with sight loss. A consumer guide on choosing central heating controls and saving energy, has revealed that many people with sight loss are unable to control their heating or cut their fuel bills, for the simple reason that heating dials and switches are not accessible. Another guide, on choosing cookers, ovens, hobs and microwaves, based on real-life experiences of people with sight loss, emphasised the inaccessibility of many products. These practical guides highlighted to manufacturers the importance of designing products that are useable by all. Many barriers still exist in making inclusivity a reality. Interviews with 20 experts from manufacturing, design and retail reveal that, although inclusive design principles are understood within the white goods and heating controls industries, manufacturers still have some catching-up to do. An interviewee from Electrolux admits that “no explicit tests for old or disabled people” are carried out on their products, commenting that the ages of screening lie between 25 and 65. However, there are reasons to be cautiously optimistic. Former students of design schools are entering the workforce with a knowledge of inclusive design. An ageing population highlights the need for inclusive design policies, putting them on the political agenda. Change will also happen organically as increased consumer awareness of products creates more choice. Life will increasingly rely on the ability of smart appliances to communicate with each other – the ‘Internet of Things’ – and all of the issues of digital inclusion and exclusion will be felt in the home. The heating controls market is already changing, with forward-thinking products such as the new Hive Active Heating 2 thermostat from British Gas, designed with inclusivity in mind and easily regulated via a smartphone app. As demand increases and active appliances populate a home network, communication via a smartphone with voice output can now give control to people with sight loss, provided that apps are well-designed and accessible. Products designed for use by as much of the population as possible are beneficial to both consumers and producers, and they move the industry away from a perception of niche markets. As designers, manufacturers and retailers step forward into the brave new interconnected world of the Internet of Things, Rica and Thomas Pocklington Trust now urgently call for manufacturers to engage disabled and older people to shape the development of this life-changing technology.